Home / Archive / featured / Digital Radio Divide: are you still able to listen to your favourite stations? Digital Radio Divide: are you still able to listen to your favourite stations? It determines which health and education services are available to you, how much you pay for insurance and can have an effect on whether or not superfast broadband is available to you. Now your postcode will have an even greater bearing on whether or not you benefit from the UK's newest digital radio network and whether or not you can continue listening to old favourites. This week sees the arrival of the first stations on the new Sound Digital (SDL National) DAB multiplex. Absolute 80s, one of the UK's most popular digital-only stations is one of the stations making the move to the new multiplex this week, leaving behind its previous home on the national Digital 1 network in the coming weeks. For listeners, this means DAB coverage will drop from around 90% to around 75% of the UK. Notably in places such as East Anglia and the south-west, reception of the station will no longer be possible on DAB. The same applies to sister station Planet Rock, which also makes the same move this week. 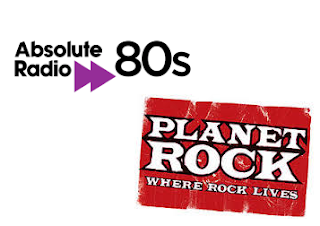 So if Absolute 80s now reads "Absolute 80s old" on your display and Planet Rock "zPlanet Rock", and you don't have another version in your station list after retuning, you're about to lose the stations. But for other stations, the launch of Sound Digital means better coverage. Kisstory and Heat will go from being available on a handful of local DAB networks to being widely available across most major urban areas and beyond. Niche stations including Panjab and Jazz FM will also become widely available on DAB. But listeners wanting to benefit from the full range of new stations will need a DAB+ compatible set, otherwise stations such as Jazz FM, Fun Kids and Magic Chilled will remain silent. Incidentally, for listeners in London, Jazz FM and Fun Kids can continue to be heard on their existing DAB slots, with no requirement to switch to DAB+. Later in March, UTV Media will launch Virgin Radio, TalkSPORT2 and TalkRADIO on the multiplex. Premier Radio will launch offshoot station Premier Praise at Easter and will also broadcast until early April on both old and new multiplexes, to help listeners make the transition and to offer alternatives to listeners outside of the Sound Digital coverage area. Sound Digital, a consortium between Arqiva, Bauer and UTV Media, will officially launch the new multiplex on Tuesday, when a mass advertising campaign to encourage listeners to retune will get underway. But for listeners not in the 75% of the UK able to receive Sound Digital services, a switch to alternative platforms is required, such as the internet or mobile apps. While internet radio offers a viable alternative for listening to stations at home or at work, mobile reception is subject to the three Cs: coverage (3G/4G), congestion (in some areas on some networks, there are crunch points where speeds plummet and connectivity is poor) and cost - ask anyone who has just been kicked off 3's All-You-Can-Eat data plan. The Sound Digital multiplex was intended to be a low-cost option for stations to broadcast on DAB. The existing Digital One multiplex had been filled to capacity, and charges for carriage had become prohibitively expensive for niche stations. Despite being cleared to broadcast to places such as East Anglia, only the top 45 transmitters in terms of coverage were chosen to distribute the new Sound Digital multiplex: maximum coverage with the least possible number of transmitters (and cost), leaving some areas high and dry without the extra stations: a commercial reality that's already been done on Freeview, where some viewers can't get the full set of channels for similar reasons. Even some mobile networks have until recently neglected to serve some areas with even 3G, although unlike TV and radio platforms, there's regulatory and commercial pressure to roll out better mobile reception into rural areas. As a result, for DAB listeners this week will be like a roll of a dice in terms of reception: are you in a favoured postcode area or not? Will you be able to continue listening to Absolute 80s or not? With so many changes taking place on DAB digital radio week commencing 29/02/2016, listeners should retune their radios - it's the easiest way to find out which stations are now available in your area (or not) following the changes. If you're able to tune in to stations such as Absolute 80s and Share Radio in your station list, you're in the Sound Digital coverage area, and will benefit from the new network. Only DAB+ compatible radios will receive the full set of stations on the Sound Digital multiplex. WHY AM I LOSING ABSOLUTE 80s? WHY IS FUN KIDS SILENT? HOW DO I CHECK IF I’M IN THE COVERAGE AREA..? We live in an area of East Yorkshire that according to the postcode checker says that we should not be receiving the new stations. In fact we have gained 13 not lost 4. It is now great to be able to listen to Jazz FM Stereo, Share Radio and UCB 2 as well as looking forward to hearing Premier Praise from Easter Sunday. With the big Retune, or should I call it Big Switch Off. 80% of Scotland will lose 2 stations and will not receive ANY of the new stations. Only bought dab radios to listen to planet rock. Are they going to reimburse me the cost of 3 useless radios as I can no longer get planet rock in Dorset?! This is the worst news I've had for a long time. It renders 5 digital radios (one of them VERY expensive) useless as I only listen to rock. I've created a petition, really hoping a solution can be found for us! I'm about to loose Planet Rock, I live in east Suffolk. Contacted Planet Rock, They said there will always be areas of poor reception.So much for progress. Living in Suffolk .... just glad I never fell for the DAB radio hype! Come on sort ig out please as the south west are always the last ti get anything. If it aint broke then DONT fix it. Only recently bought a new £300 DAB radio ,ive listened to Planet rock from day one,i work on building sites have no internet,mobile apps available as 3G poor,now gonna be left with crap commercial radio stations playing modern rubbish,our area in suffolk will only have a few to choose from. Total waste of £300,my vehicles have DAB fitted at extra expense,now they are useless too,total con. DAB the future,what a joke!!! SDL also seems to be more susceptible to interference. The daytime running lights on my van play havoc with SDL but have absolutely no effect on digital 1 reception. Not happy. For those areas that fall outside the SDL National coverage there is always the possibility that some stations will be added to the local transmitters. Such a case is where The Wireless Group is adding talkSPORT 2, talkRADIO and Virgin Radio to the Aberdeen local DAB multiplex. What we have to remember is that commercial radio is a business and so each organisation has to make money in order to provide. My own suggestion is that if you live in an area that cannot receive one of the stations then you contact, by letter or email, the station concerned and see if they are open to placing their station on the local DAB multiplex in say Suffolk or Plymouth. I never had a problem with planet rock on d1. Now its on sdl I lose reception several times on my commute to and from work. It's at the level I'm not sure I want to listen to it any more. To make matters worse, it's still only on 80kbps mono as well. Don't they care about their loyal listeners? Hope you've signed the petition Alan, mono's still better than silence for many of us! Just signed the petition but don't hold out much hope - I use my DAB's for two things rock music and test match special - from now on it'll be just the cricket! DAB is a complete joke now and this is a massive retrograde step! I live in Chesterfield and like to listen to Planet Rock in my car. On the new channel it breaks up to a point where it's impossible to listen to. I can't find another station that plays such a comprehensive range of rock music. So this is why Shropshire is loosing Absolute 80's etc. Disgraceful. Please please please can the powers that be make planet rock 100% nationwide coverage asap?!? I agree with a lot of people on here. I bought a Dab radio for absolute 80's.. Now its gone. I live in the Southwest.. Pretty poor of these companies doing this..